When Are Performance Enhancing Uniforms PEDs? With all of the hype surrounding performance enhancing drugs in baseball, sometimes it makes you wonder about other performance enhancers. Companies like Under Armour and Nike have differentiated themselves on the basis of quality and performance, spending millions each year on gear R&D. But when do these technological advancements start taking away from the sport? As the Big Brands unveil their uniform designs for Team USA for the impending Sochi Olympics, none are shy on highlighting the technological advancements made to give these athletes an edge over their competition. Columbia Sportswear presented their uniforms for the U.S., Canadian, and Russian freestyle ski teams last week. According to the official press release, performance-enhancing features include their patented Omni-Heat Thermal Reflective technology that allows for better heat management without the fabric bulk, the lightest-weight waterproof zipper in the world, and snow camouflage graphics that actually help mask body movement, which is a key component in how these athletes are judged. Under Armour, a favorite when it comes to performance-wear, has a couple of new innovations of their own. Working with aerospace engineering giant Lockheed Martin, Under Armour has created what U.S. Olympic hopeful, Patrick Meek, says is “the fastest speedskating suit ever made and it will be the fastest speedskating suit, period.” Hundreds of different textile configurations were tested in over 300 hours of wind tunnel time to find the most aerodynamic model. For some up-close-and-personal pics, check out GearJunkie’s exclusive photos. We couldn’t help but notice the ArmourVent mesh paneling, which is a new heat and moisture-management technology that UA has been promoting in their Spring gear catalogs. 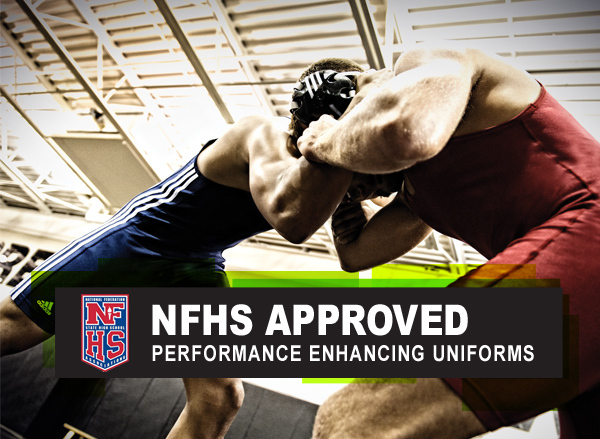 While it is unlikely the NFHS or NCAA is going to be laying the smackdown on anyone anytime soon for an excessively (and unfairly) advanced uniform, no one can argue that the right uniform improves player performance. Hear me out: The better the fabric, the better you feel. The better you feel, the better you play. There is a strong case that wearing exceptional brands (like Under Armour and Adidas) will enhance the way you play on the field. Will a comfortable Pro Freestyle Jersey from Adidas help you jump higher and run faster? Probably. Will a crisp Under Armour Basketball Uniform make the ladies in the stands notice you? Yup. Will both of these things induce a higher level of confidence? Absolutely. To learn more about choosing team uniforms that maximize performance, check out this free guide for coaches, athletic directors, and equipment directors: "The Team Buyer's Guide to Choosing Uniforms, Apparel, and Gear for Performance and Durability"